Providing ministry leaders with quality christian resources that transform lives for Christ. Concordia Supply is family owned and operated, in business since 1949. Serving over 100,000 churches and ministries. We strive for a personal and exceptional ordering experience whether you are shopping online or over the phone. Our goal is for you to find our website and seasonal catalogs useful in researching and ordering the supplies you need for your church or ministry. Our passion is to promote products and resources that can help churches and other ministries do the work they are called to do. This includes areas such as Children's Ministry (VBS, Sunday School Curriculum, & events), Church Supplies, Custom Design Services, and other related ministry resources. Concordia Supply was started by Rudy Larsen in Alhambra, California in 1949. Reynold Stelloh purchased Concordia Supply in 1962 and his daughter Dorothy and son-in-law Eugene Belko moved out from St. Louis with their four young children to operate the business. Gene soon bought out Reynold and successfully operated the business for nearly 40 years. During the 60’s and 70’s Concordia Supply was a Bible bookstore in downtown Alhambra while selling church supplies, VBS, and Sunday School supplies out of the small warehouse in the back. Gene's oldest son Steve joined full time in 1982, moving with his wife Toni from Chicago. As Concordia Supply grew, Steve & Toni grew their family of four boys — Danny, Phil, Joel, & Andrew — who all worked in the business at various times during their high school and college years. The company’s subsequent move to Montclair, CA and transition to a warehouse environment was accompanied by an expansion of their mail order operations. The 80’s and 90’s were a time of steady growth as Concordia Supply expanded its presence throughout the country serving across denominational lines in supplying church supplies and ministry resources. The company moved in 1996 to Rancho Cucamonga. Following Gene’s untimely passing in 2001, the company began its transition into the web and online arena. Steve & Toni became owners in 2003, as Dorothy retired and eventually went to be with the Lord in 2012. Their oldest son Danny joined the company full time in 2008 and is serving as Director of Marketing. Joel arrived in 2013 and is currently Director of Operations. The youngest son, Andrew, is a full-time missionary in Tanzania. Recent years have been a period blessed with continued growth as the company continues to position itself to serve the church market while also taking advantage of opportunities to serve God in the mission field both locally and abroad. We moved in December 2016 to larger facilities to enable us to serve you better! We recognize more than ever our responsibility to be good stewards of His resources and are excited to see how our Lord will use us in the season ahead. We have a heart for mission organizations in the US and abroad, supporting several organizations and individuals in Romania, Haiti, Kenya, Congo, Sudan, Tanzania, and others. We also sponsor teams of employees, students, and missionaries to serve alongside these mission organizations. Concordia Supply has been owned and operated by the Belko family for over 50 years. Steve and Toni Belko are the current owners, with Steve serving as President/CEO. Their oldest son Danny is Director of Marketing and third son Joel is Director of Operations. The youngest son, Andrew is the Systems Coordinator and previosuly served as a full-time missionary/water well driller in Tanzania. Our customer service representatives are the ones who answer your calls, process your orders and help with your questions. Many of our customer service reps been part of our team for over 10-15 years and can answer pretty much any question you can throw at them, or at least find the answers really really fast. 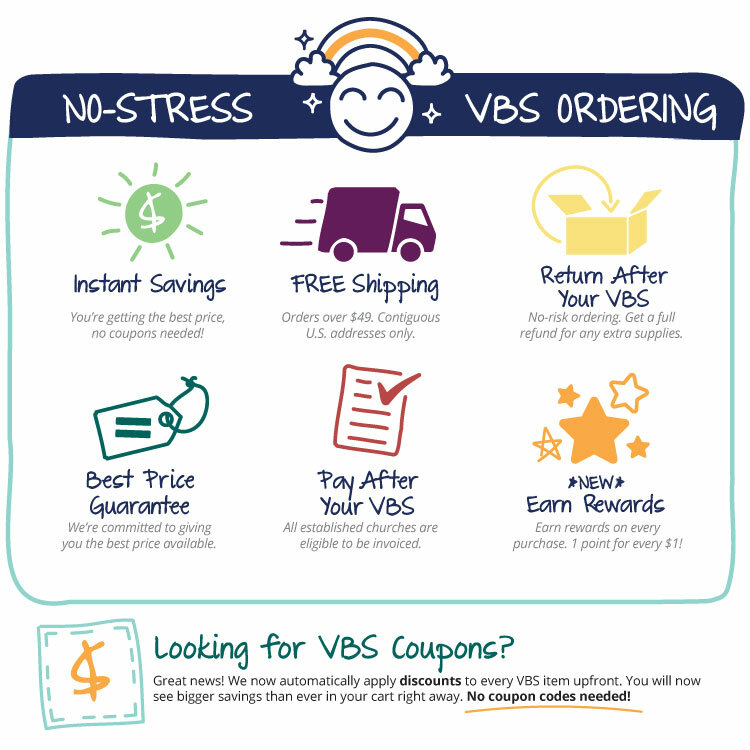 They are VBS and church supply experts and take pride in offering exceptional customer service. The marketing, communications & design team works collaboratively on all marketing initiatives & website improvements. Our design team creates all the catalogs (VBS Guide, Spring Catalog,etc.) and custom print products (banners, envelopes, bulletins, shirts, etc). You may not know them as well as the office team who answer your calls, but the warehouse employees are a big reason for our great customer satisfaction. They are responsible for getting those packages out for delivery — complete and on time. During our busy seasons we hire additional warehouse staff to help get your packages out fast! Our warehouse has the joy of getting a first look at all the colorful student books, fun-filled crafts, and student items that your kids will get to play with during VBS.